At least 419 million people (22% of the world’s 1.9 billion smartphone users) are blocking ads on the mobile web. Both mobile web and in-app ads can now be blocked. As of March 2016, an estimated 408 million people are actively using mobile adblocking browsers (i.e., a mobile browser that blocks ads by default). As of March 2016, there are 159 million users of mobile adblocking browsers in China; 122 million in India; and 38 million in Indonesia. As of March 2016 in Europe and North America, there were 14 million monthly active users of mobile adblocking browsers. A further 4.9 million content blocking and in-app adblocking apps were downloaded from the app stores in Europe and North America, since September 2014. Summarised, 20% of the world’s smartphone users are using mobile adblocking browsers, which are mobile browsers that block ads by default. The Daily Sun’s Facebook page has reached one million likes since it started in 2011. The publication has seen the growth of a full-time digital team which creates about 100 posts a week with about 80,000 interactions daily and between 12,000 and 17,000 new fans join every seven days. The convergence of digital and print is upon us and keeping a finger on the pulse of the South African consumer means communicating a brand message across multiple platforms, in a way that is uniquely suited to each. The digital reach of the Daily Sun and Soccer Laduma combined is over two million. The print reach of Daily Sun, Soccer Laduma, Son and Illanga is over nine million. The increasingly tech-savvy mass market not only has huge collective spending power, but it is not yet saturated and is in a phase of active acquisition. It is a brand conscious market that is influenced by advertising. In terms of newspapers, which are still a massively popular medium in this market, Ads24 represents a considerable number of the most read titles, which lie in the hearts of their communities. Ogilvy & Mather (O&M) South Africa, the integrated agency for the digital age, enjoyed a star-studded week at the Cannes Lions International Festival of Creativity, which concluded this past weekend. The agency group walked away with 11 Cannes Lions, including a coveted Grand Prix in Radio. Cannes Lions is the world’s premier annual gathering of advertising, marketing and communications professionals and largest creative award show. With over 45,000 entries into this year’s festival, the odds of winning is averaged at below 3%. Of the seven agencies awarded in South Africa – which was ranked as the 8th country at the Festival – O&M claimed 44% of the country’s statues, with 38 of its entries shortlisted across various categories including Print, Radio, Entertainment, Outdoor, Design, Media, and Promo and Activations. “Cannes Lions is a collective overview of where we stand in the creative world across the globe,” said Pete Case, chief creative officer of Ogilvy & Mather South Africa. ”I’m filled with gratitude that our work is part of the high calibre seen on stage this year. Thank you to our clients, our people, and to the judges and Cannes Lions for this recognition” says Abey Mokgwatsane, chief executive officer of Ogilvy & Mather South Africa. To finish off the week, Ogilvy & Mather Worldwide received the highest honour at Cannes Lions – Agency Network of the Year. This is the fifth consecutive time the global network has obtained the title. An activation devised by FCB Cape Town for BMW Motorrad scored well over three million views on social media in just three days. “Early one morning, the FCB team rigged a bus stop in Cape Town with speakers and installed a fake puddle of water in the road alongside,” explained Barnwell. Developed by the team of Art Director Janine Coboz, Writer David Bassett and Group Head Dylan Davies and overseen by Executive Creative Director Mike Barnwell, BMW Motorrad ‘Bus Stop’ was designed to reinforce the payoff line for the new BMW S 1000 RR – ‘Blink and you’ll miss it’. Media research provides critical insight into local consumers, and how best to reach them. It reveals which market segments are watching TV, listening to radio, or accessing information through print or digital means. It enables a company to tailor their marketing strategies to reach target audiences in the most effective way, and is therefore important to the success of many business enterprises. As far as media research is concerned, there are a lot of players active across Africa, but the research produced is not harmonised – it varies in quality, reliability and methodology. NATIVE VML has been awarded the digital marketing account of one of South Africa’s most loved and irreverent brands, Nando’s. “Many of us at NATIVE VML have the Nando’s brand in our DNA, having worked on their business in the 90’s, so this feels somewhat like a homecoming. We believe that this brand still holds huge potential to be unlocked within digital and social media and we look forward to working with an incredibly inspiring and passionate client to do that,” says Jarred Cinman, Managing Director of NATIVE VML. “We are delighted to be partnering with NATIVE VML. Combined with the power of the Nando’s brand and NATIVE’s digital marketing expertise we are set to create a formidable brand force online and we look forward to writing the next chapter of Nando’s marketing history,” says Doug Place, Chief Marketing Officer, Nando’s. We are really excited to see what new and innovative campaigns emerge from Nando’s in the upcoming months. Whilst we have no doubt that Native will blow our socks away, they sure do have very high expectations from the South African audience to live up to. The founders of Zkhiphani launched an online youth social lifestyle and entertainment magazine in 2016 and, defying convention, went on to extend the brand to a print magazine, with a 30,000 print run. Distributed via an agency, garages, universities and selected stores, where students congregate, Zkhiphani has a cover price of R19.90. The foundation of what was to become a sought after item for anyone interested in club life, glitz, music, the entertainment industry and the glamorous people who populate it, began with a meeting of kindred souls at college. “Visitors to our online site average about 100,000 a month. Average time spent on site is about two and a half minutes. Advertising includes Wrangler and Heineken as well as prominent local brands. Advertising is most often linked to a campaign, as advertisers try to cover all customer touch points including digital and social media. We offer our advertisers opportunities across our media and social media sites,” says Mathobela. “We are concentrating on getting our first project right. Our magazine is very influential in the youth space, but we want it to be the best in the market. We can then use this success as a template to duplicate the formula and create other magazines and platforms. “The deadline for our African ambition is around the corner and we already have plans in place to go forward. It is exciting. People, however, ask why we are in print when the future is digital. Our belief is that there is a place for print in our market. The failure of print to reach markets effectively is because print publishers are just not innovating – they are giving up and going digital and hoping that this will help maintain readership and customer loyalty. “We are looking at things like scanning codes on each page of the magazine so that additional digital content can be downloaded” concludes Mathobela. Last year saw ad revenues from mobile platforms surpassing those from online platforms, offering publishers the opportunity to capitalise on a sector that is both growing and has a comparatively low adoption of mobile ad blockers. However, mobile ad blocking adoption is expected to increase over the next five years, as users bring the benefits of the technology onto their mobile devices. The whitepaper, ‘Digital Advertisers vs The Ad Blockers’ is now available to download from the Juniper website, together with further details of the full research. Superbalist is a fashion-focused, multi-channel eCommerce platform that brings the world’s best brands into the homes of its SA customers, and is the first of its kind in Africa. Superbalist.com presents a unique winter campaign shot in Dakar, Senegal. Breaking new ground for SA retail, Superbalist.com recently travelled to Dakar, Senegal to shoot its bold winter campaign under the guidance of style director Tammy Tinker. The Intel Corporation within Nigeria has unveiled a new radio show, which according to the company, is set to empower women and girls, while connecting them to opportunities for personal growth in Information and Communications Technology (ICT). The radio show, which has been dubbed: ‘She Will Connect’, will air on a weekly basis on Nigeria’s very own WFM 91.7; while the new features column called ‘Through her Eyes’ will feature on the Bella Naija blog. The new initiative, according to Intel, is a part of the company’s She Will Connect programme, and is targeted at helping young girls and women access an innovative combination of digital literacy training, online peer network, and gender-relevant content. According to This Day Live, public relations and marketing manager of Intel West Africa, Adim Isiakpona, disclosed that the programme would bring millions of women online, and reduce the gap in access to internet and digital literacy skills for young women by up to 50%, while also connecting millions of women to new opportunities through technology. According to Isiakpona: “Girls and women are an important part in the growth of any economy and the She Will Connect programme has gone a long way to reach and enable them to do more. “Intel will continue to drive momentum into its She Will Connect programme. We want to use this radio show and the column on Bella Naija, to empower several girls and women by closing the gender gap in education access, inspiring more girls and women to become creators of technology, and connecting girls and women to opportunity through technology access,” he concluded. This team will drive the mandate of AMASA, which is to focus on the education and skills upliftment of those interested in the media, advertising and marketing industry, through various portfolios by applying their own views, expertise, time and most importantly passion. Wayne Bischoff, 2014’s appointed chairperson, who will continue in the role for one more year, is delighted with the final selection for 2016 and grateful to those who applied, nominated and voted. The AAA School of Advertising students who completed the AMASA Media Management course were also given the platform to express how the course has helped them in their careers. The Top Student, Fagan Abraham, was also honoured by all present. At the next committee meeting a Vice Chairperson will be elected and individual portfolios will be allocated. Apple’s announcement that it would be introducing paid search to its App Store did not completely take the market by surprise. There are however, still some unknowns and the app community as well as digital marketers would do well to take heed. More clarity was given on 8 June, when Phil Schiller, senior VP of Worldwide Marketing made public the new subscription model as well as confirming the new paid search business model. The changes should be viewed as an holistic effort on Apple’s part to overhaul its App Store offering. The platform had come under fire for its bad search functionality, technical limitations, and the fact that it was (until a few weeks ago) taking more than a week to approve new apps. Unlike the Google model of having six or even seven ads on a page, Apple has said it would allow only one paid search ad (or even none) per page, and it would be clearly marked in a blue background. Apple also says it will provide a second-price auction system for marketers to allow them to bid for ads. At this point, however, there are a number of factors which are not yet known and which could impact the search engine marketing community. For starters, many are not sure exactly how the auction will work. Will the amount you pay only work down to one ad, or all the way to the last bidder? Is it 1c above, or the same as the ad below? Everyone in the advertising industry is still trying to wrap our heads around the actual logistics of advertising on the app store before we open up the service to our clients. Given what we know, we believe that the new paid search model will change how we deal with clients wishing to promote their apps. Current data shows that 65 percent of downloads start with searches on the App Store. This means that companies hoping to drive installs will need to ensure their apps are easily found. Ten hours after it was warned, the SABC was hacked over alleged censorship. Anonymous Africa, under the handle @zimforthewin, tweeted: “Journalists, if you are bored. Tomorrow, at around lunch time, the SABC will be on the receiving end of largest dDos attack to hit SA ever.” The group tweeted earlier that the hack was to punish the national broadcaster for “censorship”. The group taunted SABC chief Hlaudi Motsoeneng: “@zim4thewin @SABC_COO Here is looking at you sunshine ;) todays downtime is caused by your crimes against the people of SA.” The SABC sites remained down for most of the afternoon, with the group later tweeting: “Every time @SABC_COO censor the SABC more, we are going to come back, and keep hitting harder until @SABC_COO cannot get up again. #Anonops” The hack comes in the wake of the broadcaster’s decision not to screen footage of protests. SABC spokesman Kaizer Kganyago confirmed the hack and condemned it “in the worst possible words”. He said as far as he knew, all SABC sites were affected and it was the first hack of this scale in recent memory. In the weeks running up to Father’s Day on 19 June, Cape Union Mart launched the ‘Home of the Father’s Day Gift’ campaign, with the slogan ‘Celebrate Dad-ventures’. As part of the campaign, the outdoor store held ‘Father’s Day Experience’, an event where a product specialist presented the top 10 recommended Father’s Day gifts. Attendees were then split into groups and embarked on a treasure hunt around the Cape Union Mart Canal Walk Adventure Centre. The objective was to find a range of Cape Union Mart’s products dispersed around the store, according to a list of clues, and the winning team received a voucher worth R500 each. With just a few days to go before Father’s Day, Cape Union Mart shares the heart of the campaign with Bizcommunity. Cape Union Mart adopted a through-the-line, cross-channel marketing strategy in order to ensure efficient penetration into their identified target markets. They used Television, Radio, Print, Digital and Social as their advertising channels to promote this campaign with the objective being to position Cape Union Mart as the #1 gifting destination for Father’s Day, and the ultimate men’s destination store by crafting a robust through-the-line, omni-channel media strategy to achieve their objective. The second Nielsen’s Africa Prospects Indicators report has released key findings on sub-Saharan Africa (SSA) media consumption habits in a special section entitled Connecting with Africa’s Consumers – Spotlight on the Media Landscape. One of its biggest insights was that despite country to country variations in terms of media penetration and practice, the penetration of mass media such as television, radio and mobile is near universal, while in stark contrast the penetration of print media (newspapers and magazines) and the internet is significantly lower. Nielsen Africa Marketing and Communication Director, Ailsa Wingfield, comments: “Audiences in Africa are increasingly connected and involved, providing marketers with multiple platforms to reach and resonate with consumers, which is vital for new and established brands to build trust and recommendation, the key driver of brand choice.” Looking at the overall media penetration rankings for 17 African countries the report ranked Angola, South Africa and Namibia as the top three countries based on an amalgamation of their individual mobile, TV, radio, print and internet penetration. While Angola ranked number one overall, its internet ranking was eighth, which shows the potential for huge growth in online activity rates if the required connectivity is provided. South Africa ranked two overall but was tenth in terms of mobile penetration, with an urban mobile penetration of 92%. Mobile subscription rates in South Africa are, however, in excess of 150%. Namibia ranked in third place and Kenya in fourth which comes as no surprise given the latter’s diverse media sector with more than 20 television stations and over 370 radio stations now operating in Kenya, supported by a sizable middle class that sustains a substantial advertising market. The Get Set Go Media team have extensive experience with advertising in these African countries, if you would like to extend your brand’s presence, contact our team today. The South African communication, marketing and advertising industry must brace itself for an increased presence of Chinese players in the market. After assessing various marketing trends in the Chinese market, at the face of it, it looks like there will be Chinese agencies that will be looking to expand their network and services into other markets in the not too distant future. Chinese companies are already very active in Africa and it is only a matter of time before Chinese independent agencies start looking into the South African market to collaborate or acquire agencies to provide better services to their clients. SCOPEN Africa recently met with more than 400 senior marketers in China to understand the process, perception and performance of the agencies they work with. This wave’s report covers more than 250 multinational and local companies, with over 700 client-agency relationships analysed. On the flip side, the South African market is well known around the world for its big and transversal ideas. Although our research has not yet been completed in this respective market, the country has benefited and garnered immense respect internationally for the famous campaigns that were produced from this region, which have resulted in numerous Cannes awards and other festivals. With that said, if South Africa aims to make the cut, the effective usage of various media and technological development tools will serve as important factors in the growth of the industry which also explains why other markets such as South Korea, Australia and Canada are also leading contenders in our industry. This week, the cabinet announced that they could approve policy recommendations that would lead to the disappearance of marketing of alcoholic beverages from primetime slots on TV. The proposal, contained in the draft liquor policy paper, seeks to give Trade and Industry Minister Rob Davies more power to set restrictions and parameters for the advertising and marketing of liquor on TV, such as a recommendation to shrink the time when ads may be flighted to between 10pm and 6am, after prime time. At the moment, broadcasters may air liquor ads from 5pm. Liquor industry players such as SABMiller, Diageo and Distell stand to lose presence on some of South Africa’s most watched shows during prime time slots. Kurt Moore, CEO of the South African Liquor Brand Owners Association, said the association heard about the recommendation to cut the window for liquor ads “via the grapevine” after the Department of Trade and Industry failed to notify the liquor industry following a public consultation process last year. Moore said that while the government was not obligated to undertake further consultation after it had heard the industry’s initial comments, “the real issue is, if the revised proposal is so fundamentally different from what was initially proposed, surely we should be afforded an opportunity to give some input on that”. For now it is unclear whether the recommendation will lead to revenue loss for the liquor industry. Moore said the latest independent study, by Cochrane Collaboration in 2014, found no scientific evidence to back up a claim that marketing causes increased consumption of alcohol. Advertising was used to win market share among different brands, he said. “The impact will therefore be to stifle competition among various brands and competitors as well as potentially disadvantage new entrants into the market,” he said. Leading telecommunications company, Cell C, launched their recent advertising campaign which takes a spin on popular show, Game of Thrones. We think the adverts were very cleverly created and would love to know your thoughts. View all three here. In a recent interview with Bizcommunity, Channels Television, Nigeria, chairman, John Momah discussed the challenges of standardising audience measurement systems in Africa. Momah attended the Kantar Media World Audiences Measurement Summit in Cape Town 1-2 June 2016. Channels Television is a free to air, national, privately owned television network serving news and current affairs and entertainment programming to 20 million Nigerians. They currently have 12% of the TV market in Nigeria. A pay-TV offering with movies and shows aimed at those who can’t afford DStv, will be launched later this year. Their payoff line is ‘A network you can trust’ and Channels Television has been voted best television station several years in a row. John explain that “television is no longer linear – it is a device. You carry your TV on the go via your mobile phone, laptop or other devices.. Content is king, as we know, but because of the fragmented nature of the industry and how people receive TV content, there is a need for good ratings in Nigeria.” The Nigerian television advertising market is full of potential explains John. Nigeria has a huge content industry: movies, music, news and current affairs, news about Nigeria is something people want to know, including people overseas. There are about 24 million televisions in homes and that figure will rise, Nigeria is an aspirant market. The Channel Television TV app has been downloaded onto the Android platform 127 million times; and on iOS, 265 million times. There are over 150 TV stations in Nigeria and that number is growing with revenue coming from advertising and sponsorship. People in Nigeria require content that will appeal to their everyday life and personal nature which is a great opportunity for advertisers who are promoting lifestyle content. The government is determined to tighten its tobacco laws that will see plain packaging on cigarette products as part of a global drive to lower the incentive for people to smoke. As the world commemorates No Tobacco Day, the Gauteng Health department is advocating for a total ban on tobacco advertisements. World No Tobacco Day is marked to highlight the harm caused by tobacco use and to advocate for effective policies to reduce tobacco consumption. Gauteng health will hold an event in Soweto on Tuesday under the theme, “Get ready for plain packaging” with emphasis on packaging of tobacco products. Health Minister Aaron Motsoaledi said he planned to toughen the act’s stance on public smoking, ban the selling of cigarettes at shop counters, ban cigarette dispensers and force companies to package their products in brown paper with no branding. Giant Film’s director Karien Cherry took first place in the Creative Circle ‘TV, Cinema and Film’ category this March for her recent Sanlam campaign. This is the second time in just four months that Karien has claimed the ‘Ad of the Month’ award. SA Film Reel also recognised Karien’s direction of the campaign with a Special Mention in their March craft category. The campaign set out to introduce Sanlam’s new Tax Free Savings accounts by gently and humorously reminding everyone just how much we all dislike getting less. Under Karien’s watchful eye the spots were filmed as unscripted real life experiments, and captured authentic reactions that expertly proved the agency’s idea. “It’s almost impossible to do reactive real world film without it looking set up, or acted. Karien achieved the opposite – she filmed the real thing and the spots came out magnificently.” Matt Ross, ECD, King James Group. Karien’s New Balance spot ‘Baby vs Dale Steyn’ topped the ‘TV, Cinema & Film’ category in November last year. Watch the Sanlam and New Balance spots here, both through King James Group, Cape Town. Media company eMedia Holdings was in talks to renew its contract with DStv for its 24-hour news channel, which had been on the payTV platform for more than seven years, it said on Friday. eMedia is the holding company of assets such as eSat.tv, e.tv, radio station Yfm and Sasani Africa. The contract with DStv is coming to an end this month, but all indications were that DStv would like to enter into a new agreement and keep the news channel on its platform, said eMedia Holdings. 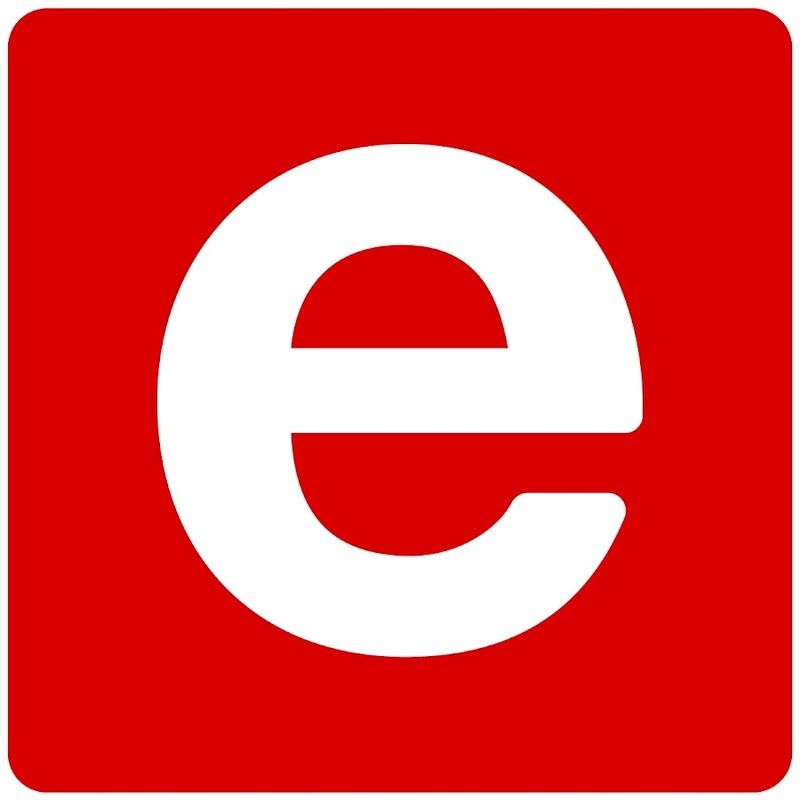 The 24-hour news channel, eNews Channel Africa (eNCA), is the most-watched 24-hour news channel in SA, with a share of more than 50% of viewers who watch news, according to eSat.tv. eSat.tv’s sister company e.tv has been at loggerheads with DStv owner MultiChoice over the encryption of decoders to be used for digital TV. eMedia Holdings reported a 1.7% increase in revenue from continuing operations to R2.4bn for the year to March. The group ended the year with a R63.6m loss attributable to the equity owners of the company, compared to a profit in the previous year of R124.8m. The eMedia loss takes into account a loss of R144.8m for discontinued operations. Advertising revenue at e.tv came under pressure as a result of a sharp drop in market share. Arcade Content’s Kyle Lewis has just completed his first campaign for Volkswagen and Ogilvy Cape Town, with two typically bold brand films perfectly matched to the Volkswagen Up’s positioning as “the bold car that takes you places”. Watch the video below and let us know what you think. Effective Measure (EM) have announced the launch of their reseller partnerships in Ghana, Kenya, and Nigeria, extending audience measurement into Africa. EM integrates their media planning and data tools, information on media metrics, customer demographics, psychographics, and life stage data through one easy-to-use, intuitive dashboard. This Audience product is available to advertising agencies and brands, on a subscription basis, to effectively plan digital media campaigns. Digital publishers in Ghana, Kenya, and Nigeria can now choose to use EM in two ways. Large content hubs may choose to pay for Audience, which is based on an annual subscription fee. There is the alternative to digital publishers or any digital brand, whereby they could opt-in to the emPower Data Co-Op. Instead of paying for audience measurement, Effective Measure returns revenue to the opted-in partner, in exchange for being able to sell their audiences to interested advertisers. EM takes responsibility for all segmentation of audiences and demand integration. Buying these audiences is currently exclusively available through agencies that have Google Bid Manager accounts. The audience segments are licensed to an approved partner agency at a predetermined yield set by EM. emPower Data Co-Op has grown by 97% month-on-month since its launch in November 2015 and currently has more than 130 publishers and digital brands across the Middle East and Africa earning revenue quarterly. Transparency and data privacy is of paramount importance. Therefore, every step has been taken to ensure the interests of all digital content providers have been considered.